Element: Air – Development of intellectual and social ability helps identity formation. Mode: Mutable – Learning and acquiring wisdom lead to identity strength. Changeability may lead to flexibility or instability of self image. Gemini Ascendant suggests that identity is developed through diverse learning and interaction with others. As the modifier of Sun-Moon blend, this ASC may make communication of internal experience to others easier than usual. 1) Awareness of sexual potency or attractiveness may be directly linked to identity development. 3) Mercury aspect for those with Gemini ASC / Virgo 5th house would carry implications about their self image as well as their sexual profile. 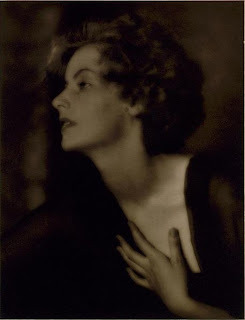 We can imagine Jupiter aspects to Mercury adding a sense of optimism, grandeur and confidence (possibly, overconfidence): Greta Garbo has Mercury in 5th square Jupiter on the ASC, linking the sexual identity to the self image in a grand way, and this definitely fits her glamorous image. Saturn aspect to Mercury may suggest seriousness, ambition and studious nature. Hard aspects between these two planets may suggest vulnerability to depression. When linked with the sexual profile, this aspect may suggest a sense of strategy and control within sexual relationships. Neptune aspect to Mercury may suggest creativity and charisma, or perhaps vulnerability to escapism. Jazz legend Miles Davis has Mercury aspected to both Saturn and Neptune, and he had a serious, studious attitude to music while being a visionary, charismatic innovator. He was also known for having drug problems. It feels fated how I can relate to most of your posts such as the Pluto-ones (which I commented once, or the one about the aries point or the unaspected planets and more.) And even this one with my gemini-rising, virgo 5th and a mercury-moon conjunction in the 9th in capricorn trine a retrograde Jupiter in the 12th (taurus). I hope transiting Pluto crossing my progressed DC will do some good to that, since my progressed Mercury is sitting right on top of that too. Thank you for your comment and the kind words! Pluto crossing Descendant is something I was planning to write about very soon – it is a profound time of identity shift, and can be very empowering. Good luck, and contact me for a session when you need to.